Welcome to Honors Biology, students have completed the Student Information Surverys and will set up thier IAN (Interactive Notebooks) 1/10/17. The Intro Unit includes Biochemistry and Cells Unit. 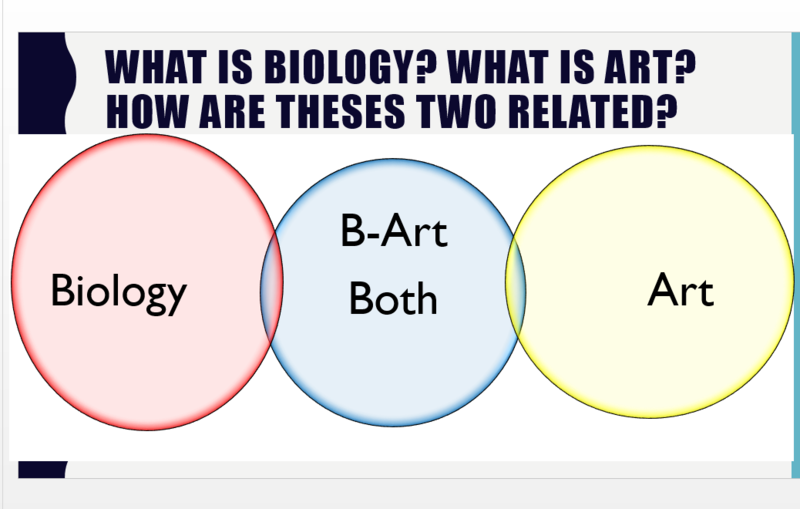 ​Students are beginning the semester by first understanding the connection between the Biology and Art curriculum.